I have the chess app in my Nexus tab. I played a lot of flight games using this tab, earlier. But now I no longer play the flight games. I play chess these days. For about six months back till a month back, I could not play well. I was very easily beaten. I gradually picked up. Now I beat the tab in Level 3 too. 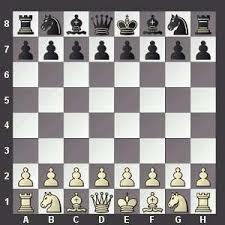 Chess is now interesting. Damn tough.But interesting. I have downloaded the ebook "The Application of Chess Theory" by Y P Geller. I also watch opening moves in Youtube. Middle moves are difficult. End moves are OK. But delayed. Defense is poor. I like attacking. But attack do not get materialized. I strictly play at home only. Not in office.